Bob Remenar: Will remain on Nexteer's board. 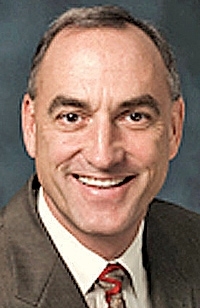 DETROIT -- Robert Remenar, an auto industry veteran who also held key posts at General Motors and Delphi, is stepping down as CEO of former Delphi unit Nexteer Automotive to become CEO of supplier Diversified Machine Inc.
Remenar, 56, will remain on Nexteer's board, the company said today. Nexteer Chairman Guibin Zhao, 48, will add the CEO title, while COO Laurent Bresson, 40, becomes president, the supplier said in a statement. According to a Bloomberg report, part of the reason for Remenar's move was Nexteer's lack of a long-term compensation plan. A spokeswoman for Nexteer denied that was an issue. "It's not why he's leaving," Donna Fontana wrote in an e-mail. The Chinese-owned supplier makes electronic power-steering and hydraulics units for more than 60 customers, including Ford Motor Co. and GM. The company reported estimated revenue of $2.2 billion in 2011. "Bob has led this company through a successful turnaround and sale, restored Nexteer's profitability and secured the business with growth and customer diversity," Zhao said in a statement. "He will continue to provide his counsel as a board member, but he has decided that he is interested in taking on a new challenge. We're grateful for his contributions and look forward to our continuing relationship going forward." Remenar, who started his auto career in 1985 with GM's Saturn brand, has been CEO of Nexteer since October 2009. He was president of the former Delphi Corp.'s steering division, as Nexteer was known when it was part of the GM spinoff, since 2002, according to Bloomberg. Calfornia-based Platinum Equity acquired Diversified Machine, an aluminum and ductile iron castings maker, from Carlyle Group in December and plans to use it as a platform to add other castings firms, according to Bloomberg. Delphi was spun off from GM in 1999 and emerged from bankruptcy in 2009. It's now called Delphi Automotive.Pacific Century Motors, a joint venture between Beijing-based Tempo Group and an affiliate of the Beijing municipal government, acquired Nexteer from GM in 2010 for $450 million. GM had reacquired Nexteer from Delphi Automotive in 2009, Bloomberg reported. Tempo's North American headquarters are in suburban Detroit. SAGINAW, Mich. – Global automotive supplier Nexteer Automotive announced senior management changes today, effective immediately. Nexteer Chairman Guibin Zhao will add the CEO title, supporting his role of providing strategic direction for the company, while Chief Operating Officer Laurent Bresson also becomes president. Robert J. Remenar has decided to step down as president and CEO of Nexteer to pursue another opportunity in the industry. Remenar will remain on the Nexteer board of directors. "Bob has led this company through a successful turnaround and sale, restored Nexteer's profitability and secured the business with growth and customer diversity," Nexteer Chairman and CEO Guibin Zhao said. "He will continue to provide his counsel as a board member, but he has decided that he is interested in taking on a new challenge. We're grateful for his contributions and look forward to our continuing relationship going forward." Bresson, 40, was senior vice president and chief operating officer, responsible for managing day-to-day global activities of the company's divisional and product groups, including global sales. Prior to that assignment, he was vice president, global sales and marketing, and Europeanregion director, responsible for all activities in region. Bresson hasplayed a leading role in aggressively expanding Nexteer's customer base to more than 60 automotive manufacturers around the world. In addition, Bresson has extensive international operational experience overseeing production facilities and the launch of numerous high volume, global customer programs. He has also held various positions in engineering, project management and sales throughout his career. "Nexteer has just experienced two record years of bookings and is well-positioned to continue that trajectory," said Bresson. "My focus will be to not only continue to leverage our technology breakthroughs for additional growth, but to focus on delivering on our promises of high quality, on time product launches." "Laurent has repeatedly proven his capabilities for managing global activities at Nexteer, leading many successful efforts and serving as a key strategist," added Zhao. "I have full confidence in his ability to see us through a tremendous period of activity and success while meeting our employee, customer and supplier objectives." Nexteer Automotive is a multi-billion dollar global steering and driveline businesssolely dedicated to electric and hydraulic steering systems, steering columns and driveline products for original equipment manufacturers. Its 10,000 employees serve more than 60 customers in every major region of the world. The company has 20 manufacturing plants, five engineering centers and 15 customer service centers strategically located in North and South America, Europe and Asia. Nexteer Automotive's customers include GM, Fiat, Ford, Toyota, Chrysler and PSA Peugeot Citroen, as well as automakers in India, China, and South America.